I recently came across this sunny living room makeover on Facebook, and since we all love a good before and after, I asked Amy if I could share on my blog. . . This space was previously used for toy storage, but Swoon Interiors transformed it into a pretty, yet still family-friendly space. “To achieve this look on a budget, I shopped around big box stores, West Elm, Macy’s, Home Decorators, Ballard, Wisteria, to find pieces that had a similar look to some of my favorite high-end pieces … a mirrored table, wing-back chairs, a tufted sofa, a geometric rug. 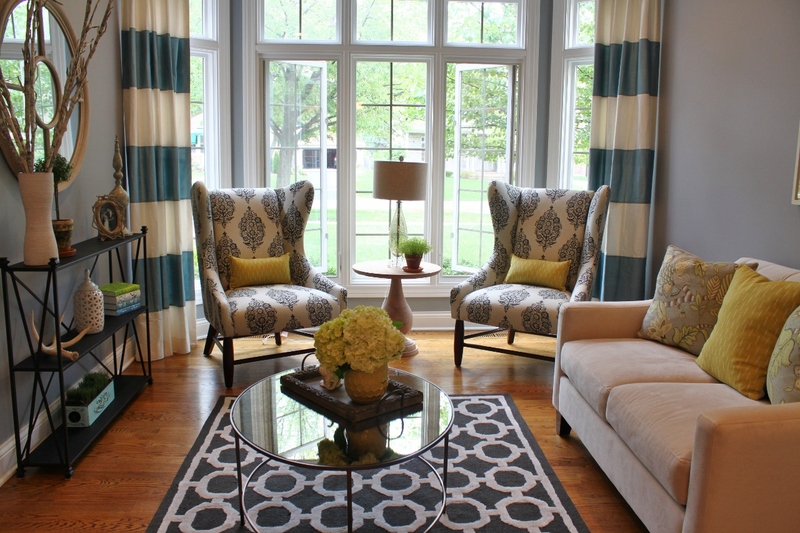 I designed the curtains through Village Workroom, which were surprising affordable, yet, I think, totally make the room. Then, of course, I turned to Etsy to find pillows made from designer fabrics and unique artwork. You can see more of this room on the Swoon Interiors blog. cute redo, emily! thanks for sharing! My goodness! This is a phenomenal transformation! I love love love the chairs. The fabric is gorgeous and the use of all those prints is pure genius. Great feature! love! i can’t wait to do our make over!! 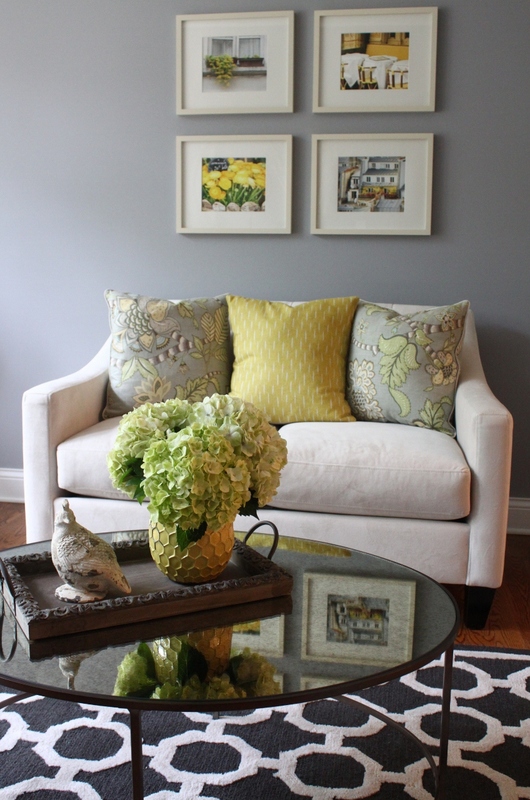 Really like the combination of grey and the soft yellows and greens. Awesome makeover! 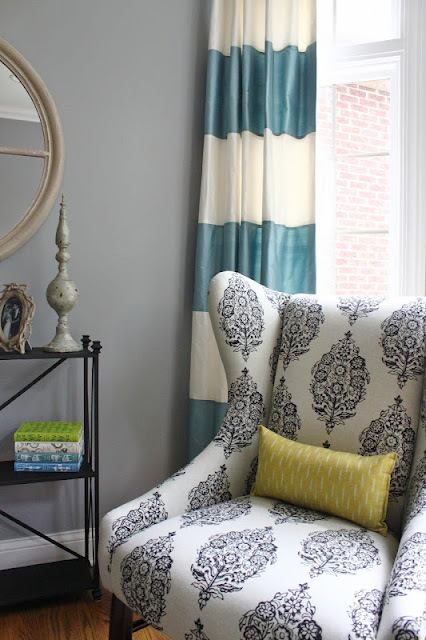 The fabric on those wing chairs is awesome! Now that’s my kind of room! Love this room – I love that you showed a room with angled windows – we have those in our bedroom and I just don’t know what to do in terms of curtains,etc. 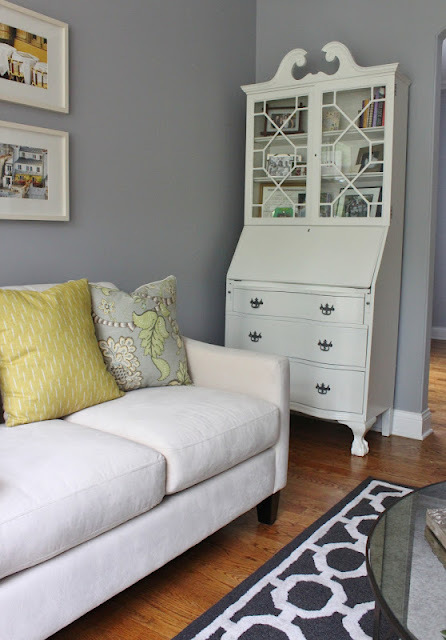 Thanks so much for featuring me and this living room makeover on your blog Emily! I am currently working with this same client on her family room, which will be a little less formal and more kid-friendly. This living room is definitely a little more “adult” oriented, but we still wanted it to have a fun, fresh feel. Thanks for all of the nice comments everyone! Um… Wow!!! I had to scroll back up as soon as I saw the after. I couldn’t believe it was the same space! Looks awesome! Beautiful, I love the grey and yellows. They did an amazing job!! So cute! Now I want to paint some furniture more than ever. Te invito a visitar el blog http://kansei-estudiodecocinas.blogspot.com. What a gorgeous makeover! I would love to hang out in that room! Emily, that room is fabulous. You know what is even MORE fabulous though? The fact that you post so often! How do you do it with 5little ones? 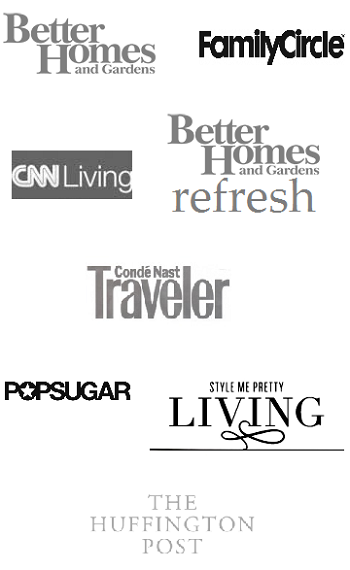 Your posts truly make the day of so many of your readers, myself included. 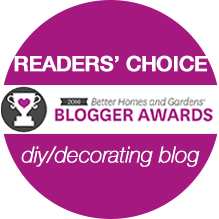 THANK YOU for being such an AWESOME BLOGGER!!!! We appreciate all of the time and hard work you put into it! Now that is a makeover. Wow! Thanks for sharing. Love all the patterns and colors mixed together! Beautiful room! Great accessories, too. Beautiful makeover, those windows are definitely the show stopper for me! Love the makeover! The room looks great! Beautiful room! Thanks for sharing! Gorgeous, love the color palette. 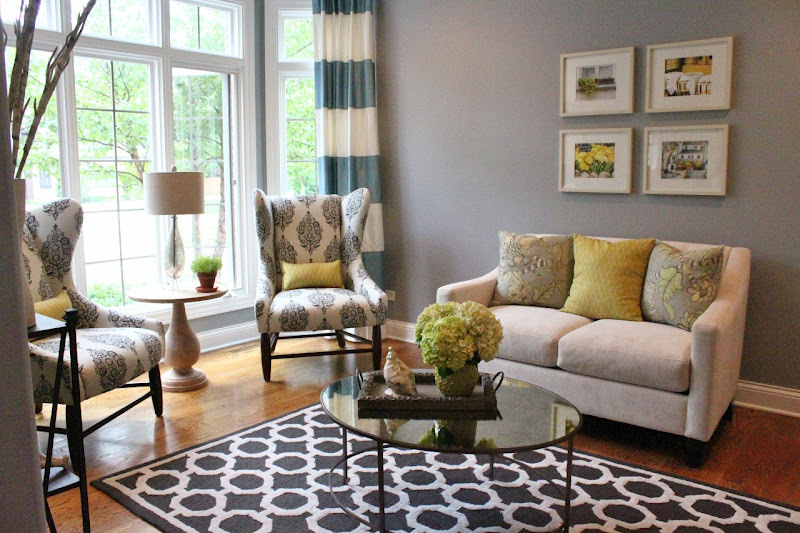 Im looking for a rug very similar to the one in the photo….where is it from? Oh; what a amazing post. I am delighted to view this. Thanks..